the fash pack: i'm sick! it started out with the sniffles over a week ago, which escalated into a runny nose, the kind wherein your nose drips without any warning eww... then my throat and chest got all phlegmy ugh... now i'm coughing incessantly it's embarrassing in public places. 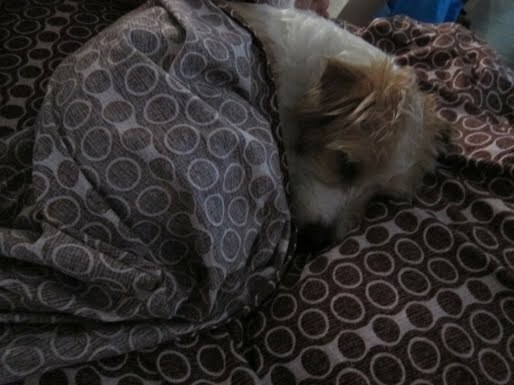 i think the doggy's sick too because when i checked on him this morning, his nose was dripping (which he promptly licked eewww!!). i think nagka-hawaan kami!! i'm terrible when it comes to any kind of medication, i never know what to take. even worse is that i don't take any vitamins! not even vitamin C!! 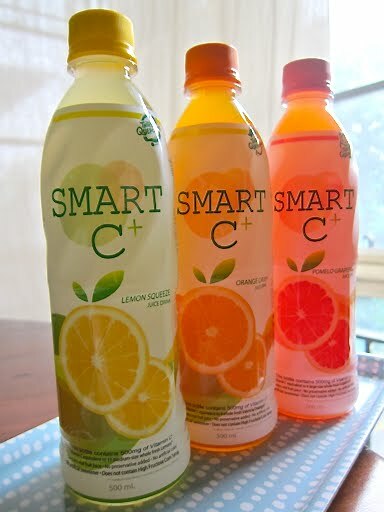 and now that i'm sick, people have been telling me to bombard my immune system with vitamin C. well, it was perfect timing then that i received some sample bottles of smart C+, a new juice drink that's supposed to contain 500mg of vitamin C—that's over five times the recommended daily dose! the more, the better, right?? did you get na pneumodog for your jack? it's a flu shot for them. lethal kasi ang mga sipon sa kanila.